The YMCA has been supporting young people in Scarborough for nearly 170 years. We exist to provide opportunities for anyone (young and not so young) to gain confidence, skills and experience in a friendly and safe environment. As a registered charity (number 250257) and, with such a small staff team, we rely heavily on volunteers to be able to do this. Have you a skill or talent that you can pass on to young people? Help to deliver sessions for young people on Thursday and/or Friday evenings under the guidance of the session leader. Helping to ensure that audience members coming to our theatre have an enjoyable and safe visit. Tasks include being part of a team that takes tickets, serves drinks and ice-creams, programmes etc. Ensuring young people’s well-being throughout a performance. Help us deliver the best service possible to our customers at busy times. Serving hot and cold drinks, sweets etc. Take out leaflets and posters to local businesses to promote the opportunities we offer. A lovely task for someone who likes to get outside and meet people. We receive no funding from local nor regional government and must raise all the money we need to do what we do. For more information, click here. Suitably experienced professional people are sought to join our Board of Management. Responsible for setting YMCA Scarborough’s strategy and policies. 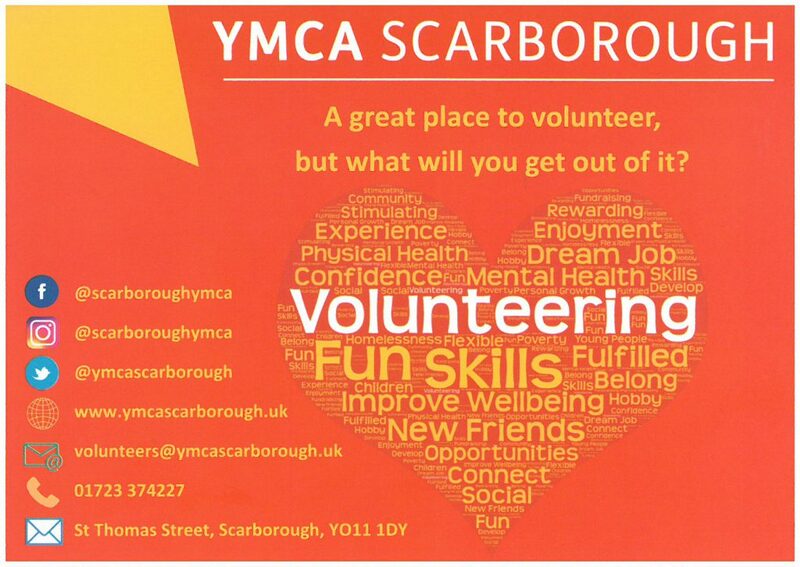 If you would like to volunteer for the YMCA, please get in touch. You can do this by phone, on (01723) 374227, by email: volunteers@ymcascarborough.uk, or by popping in to see us at the YMCA. We’ll arrange a convenient time for an informal chat and then take it from there.